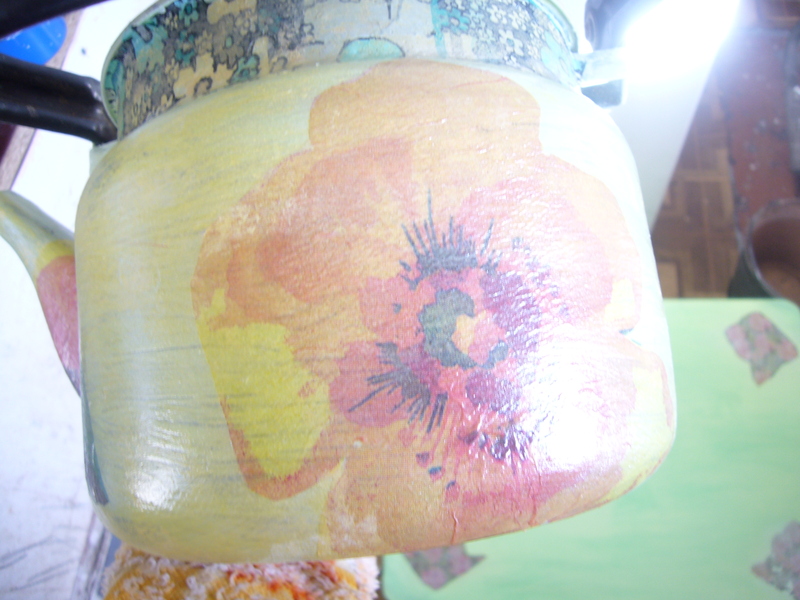 This time I decoupaged 3 old and burnt tea pots and repurposed them into flower pots. Here is my quick decoupage how to for the upcycled teapots. I repainted each of them first. Then as usual I applied different napkin patterns, using transparent polish. 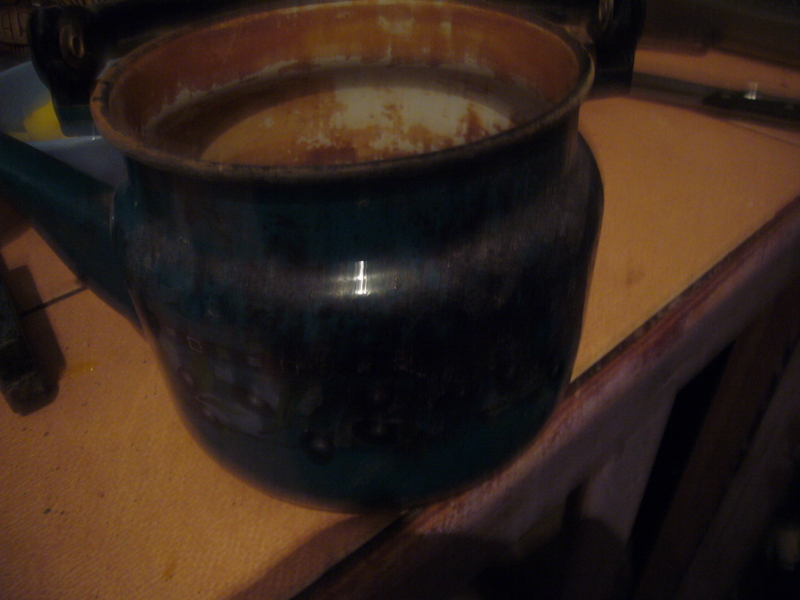 When the decoupage was done, I placed some stones inside the teapots to drain and keep the water in. 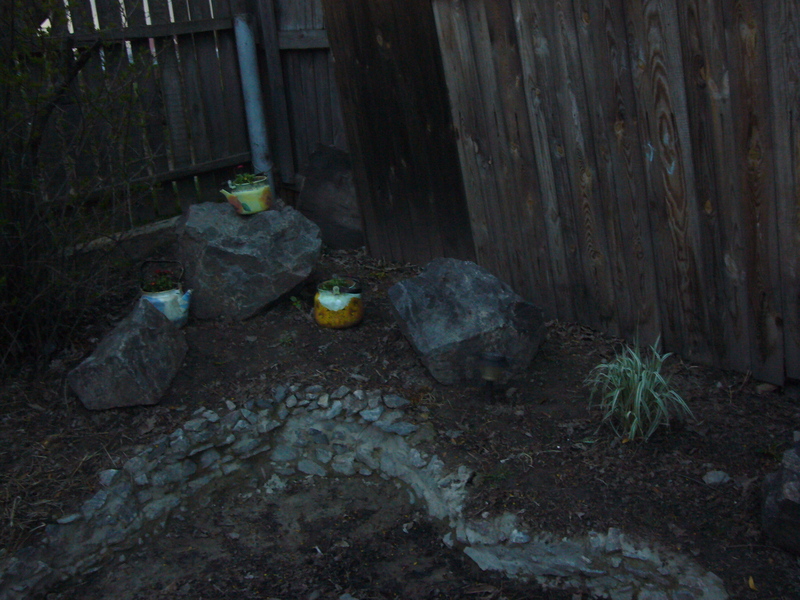 Then, I put in some soil and planted flowers. I placed the decoupaged and upcycled tea pots in our little rock garden at the backyard. This entry was posted in Crocheting, Decoupage ideas, Uncategorized and tagged crafts, decoupage, decoupage how to, DIY, eco friendly, green living, repurpose, tea pots decoupage, upcycling, upcycling tea pot decoupage how to. Bookmark the permalink.